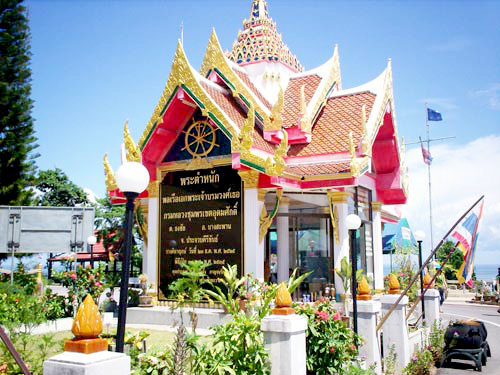 Kromluang Chumpon Ket-Udomsak Pavillion : Kromluang Chumpon Ket-udomsak a son of King Rama V, Who is honored as the father of the Thai Navy and was highly respected among Thais,especially fishermen. The pavilion is located on Kao Thongchai,facing the ocean. 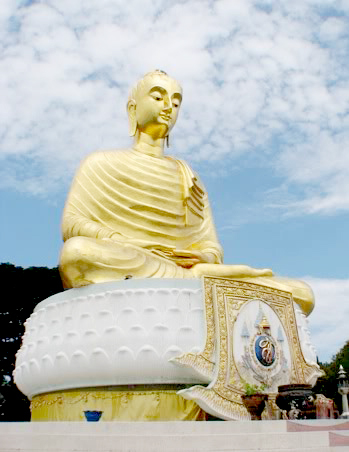 Pra Phu Takitti Sirichai is a well respected Buddha image in a meditating pose, which 10 meters wide and 13.82 meters high. 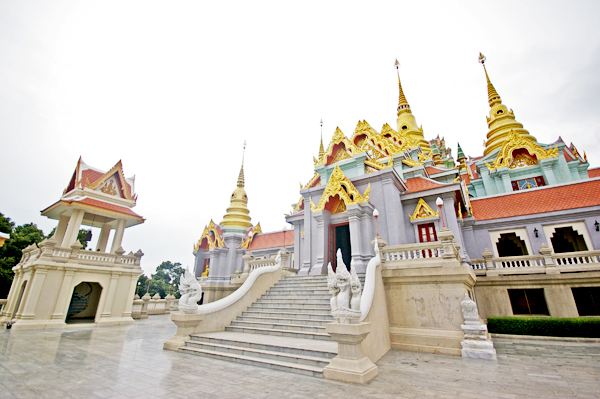 The Buddha image sits facing the ocean and was built to honor Queen Sirikit for her 60th birthday. Pra Maha Tat Jede Pukde Prakad is a big pagoda located on Kao Thongchai. It is a majestic pagoda that was built to honor King Rama IX for the golden jubilee of the 50th anniversary of his accession to the throne of Thailand. 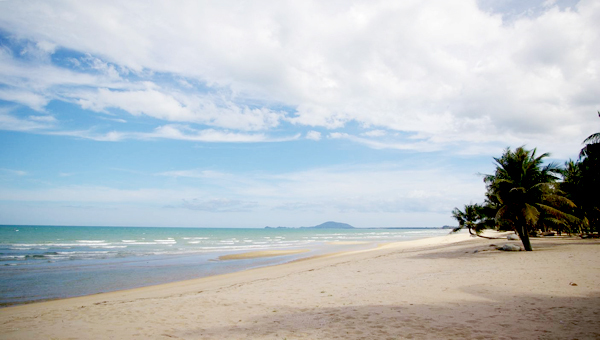 Ban Krud Beach : Almost 165 kms south of Hua Hin, this is a wide white sandy beach with clear water. 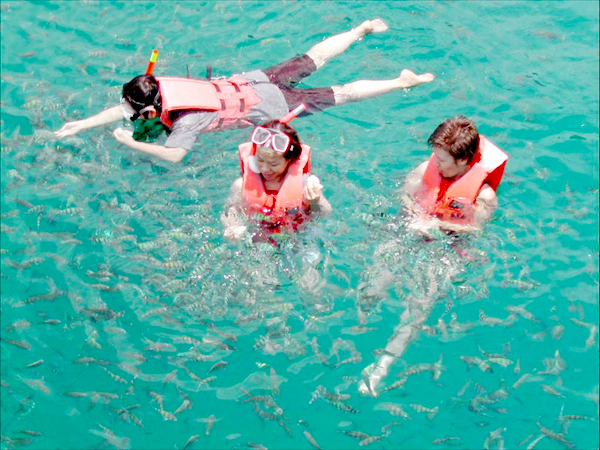 It has a baechfront road lined with coconut trees and casuarina trees. You can stroll along the beach to visit different resorts and restaurants in a peaceful atmosphrere, which attracts visitors all year round. 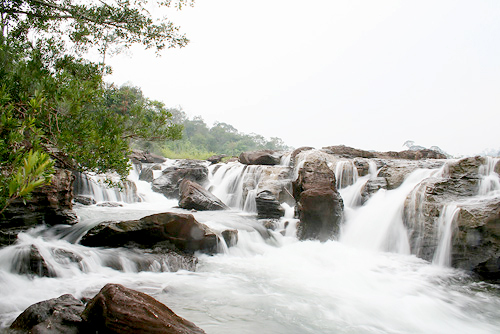 Sai Khu Waterfall : This 10 meters high medium-size waterfall is 24 kilometers south of Bangsaphan district. There is a picnic area by the stream running down from the waterfall. It's another good spot to spend a day in a lush ground. 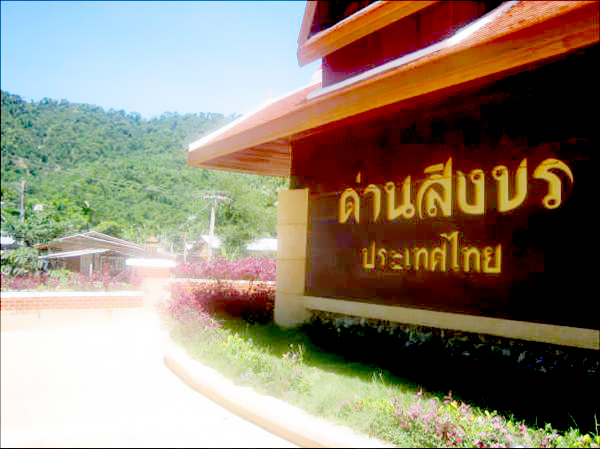 Khao Mah Rong Cave : Three kilometers south of Bangsapan market, follow side road no. 3374 It is a small cave and is located on a low hill. The cave has many coves, naturally decorated with stalacities and stalagmites and holds hundreds of Buddha images. 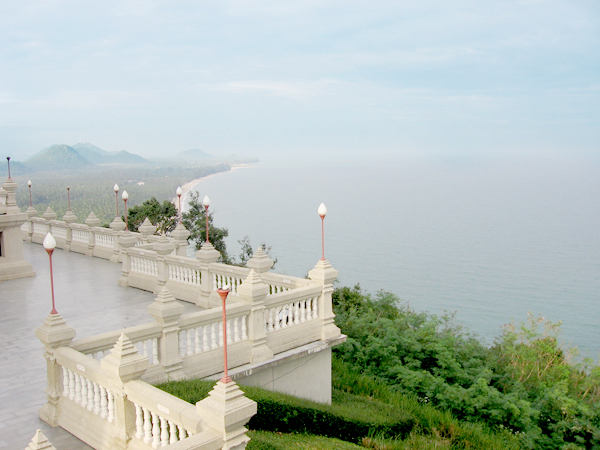 Mae Rum Peung Bay : This is a big bay that has a beachfront road. 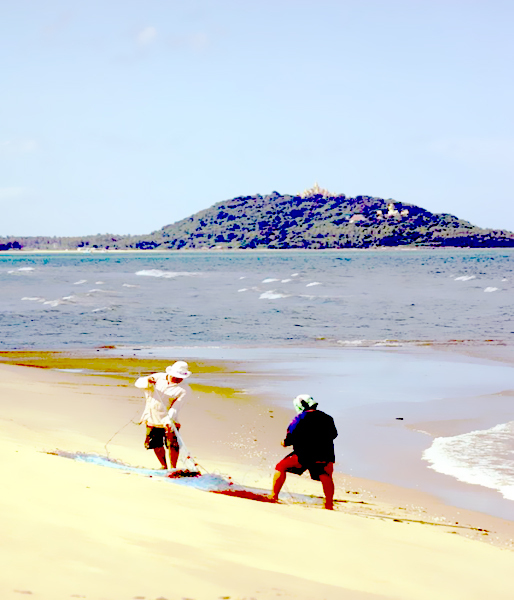 Most locals earn their living from fishing. Visitors can see fishermen at work. Nets with dried fish and squid can be seen on both sides of road. Food and accommodation are available in the area. 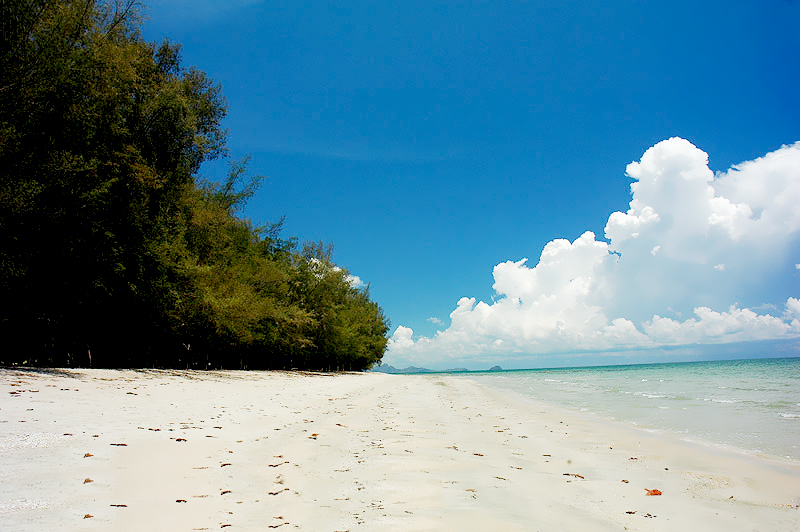 Fung Deang Beach : It is not far from Bangsapan Noi district about 9 kilometers. It is a very wonderful beach,lined with a red cliff. 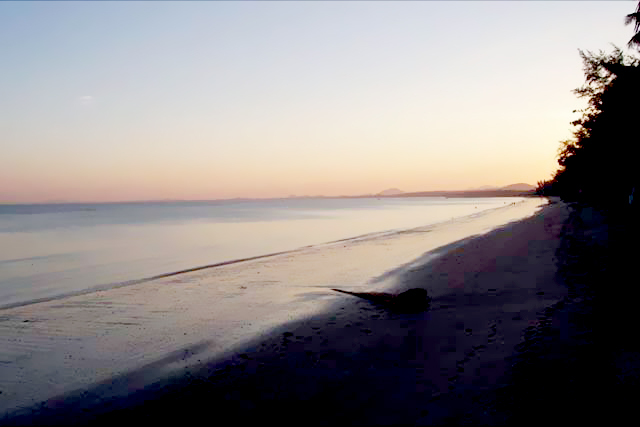 The cliff can be seen from the sea and that is how it came to get the name "Fung Deang Beach"
Ao Manao : A beautiful beach with shallow water, it is perfect for families with children. It is operated by the Royal Thai Airforce. This the site of the Japanese invasion of South-east Asia on December 8,1941. There are several attractions such as a Historical park, Jao Po Khao Lom Muak shrine, Khao Lom Muak that has stairs half way up to the shire. There is accommodations and a food center on beach. 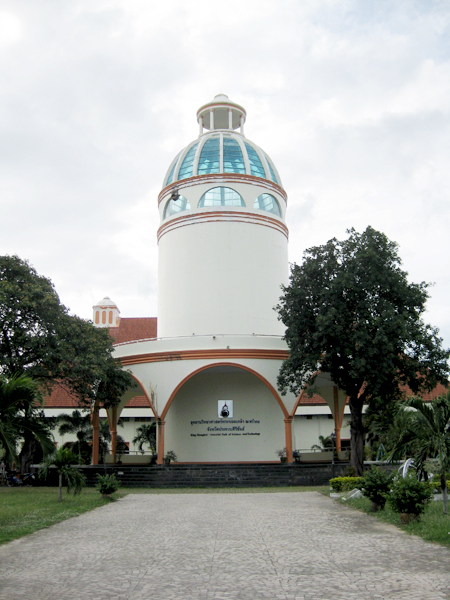 King Mongkut Memorial Park of Science and Technology : This site has had historical important since the reign of King Rama IV. The King made a trip to Wha Kor to witness a full solar eclipse. A long beach lined with pine trees offers pleasant surroundings. Don't miss the aquarium which is open everyday. Khao Chong Krajok (Mirror Mountain) : A small hill situated on the Prachuab baech, there are 396 stairs up to the top, where you'll see a splendid panorama of the three bays. Beside, there is a Buddha foot print,a monastery which holds sacred relics of Lord Buddha. Dan Singkhon : This is the narrowest part of Thailand 12 kms wide. There is a daily border market where both Thai and Burmese vendors gather to sell products, ranging from local Burmese goods to intriguing jewelry. Wanakorn National Park : Travel 22 kilometers south of Prachuab city and you'll find 7 kilometer long Wanakorn Beach lined with casuarina trees. This beautiful wide white sandy beach offers tranquility and is a good swimming spot. Koh Chan and Koh Taisea are two small islands that lie in front of this beach. Huay Yang Waterfall National Park : This park covers Bangsapan and Tubsakae districts.It has a few waterfall,including Huay Yang, Kha-on, Kaolaan and Saiku. 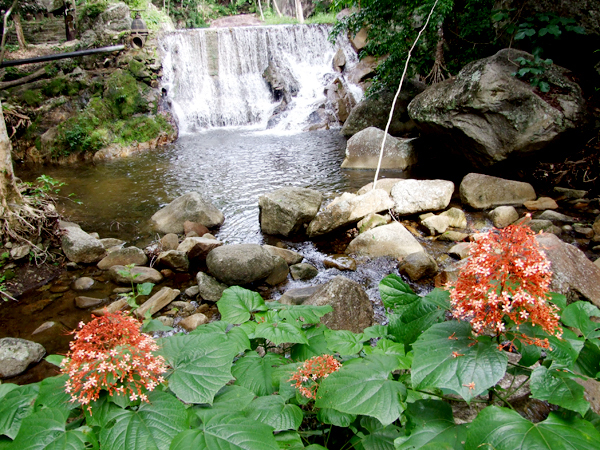 Huay Yang Waterfall is a beautiful 3 tiered waterfall in a lush ground of various plants and tree. Khao Thong Chai is located between Had Sai Kaew and Had Ban Krut. 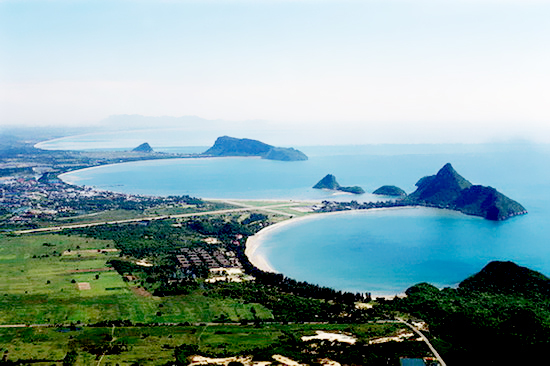 From here, you can see the crescent-shaped seashore of Had Ban Krut. 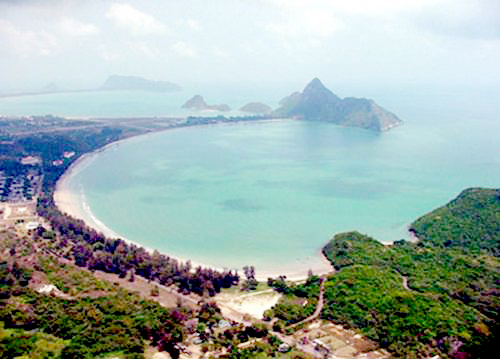 Khao Thong Chai, home to the three holy spots, is regarded by the locals as a symbol of Prachuap Khirikhan Province. Phra Budha Kitti Sirichai (Luang Pho Yai) This image was constructed to present to Queen Sirikit for her sixtieth birthday. 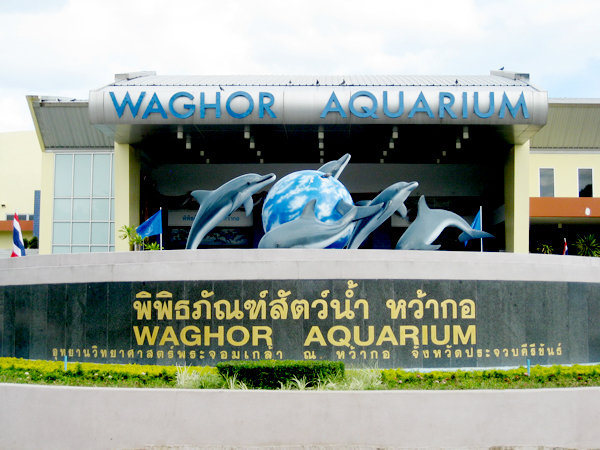 Waghor Aquarium : Miracle of the underwaterworld feeling freshy with the blue water and several kind of fish in the biggest waterworld which make you satisfied by seeing closely in the big tank which is full of many kind of fish, And you will learn how fish live in their world. It will make you feel like a fish. © 2010 Rocky Point Resort Prachuap Khirikhan. All rights reserved.